Where to Play Creature from the Black Lagoon™ for Real Money? Many of you may be familiar with the legendary sci-fi horror classic, Creature from the Black Lagoon. A monochrome film from 1954, it has since become a cult classic and enjoys an avid following to this day. The plot follows a team of biologists travelling deep into the Amazon rainforest where a new species of humanoid amphibians was discovered. Another one of NetEnt’s long line of popular film adaptations, Creature from the Black lagoon features re-tooled 3D animations based on scenes from the original film. Just as visually impressive in terms of slots as the movie was back in its day, this slot is worth playing for a few dozen spins just to see all the animations even if you’re not gunning for a big win. There are few interesting play features included in this slot to mix things up. Could it become as much of a classic as the film it’s based on? 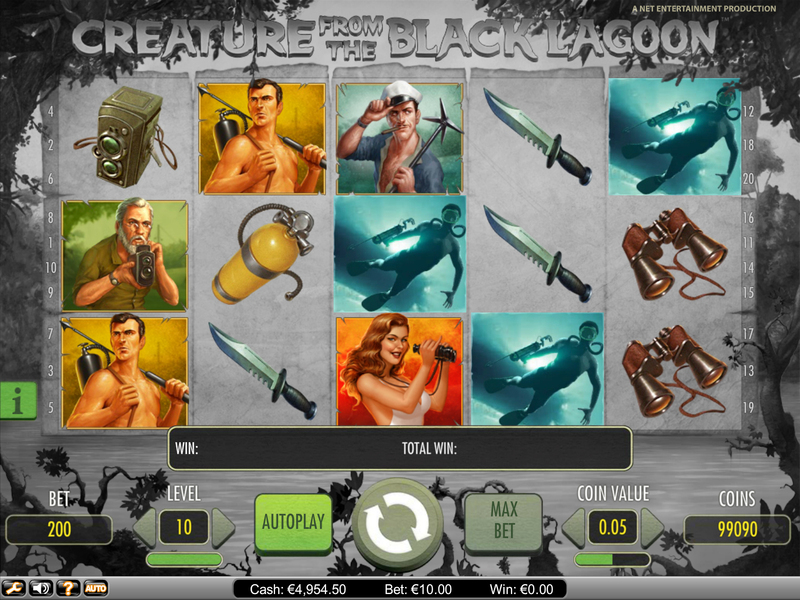 How to Play Creature from the Black Lagoon™ Casino Game? 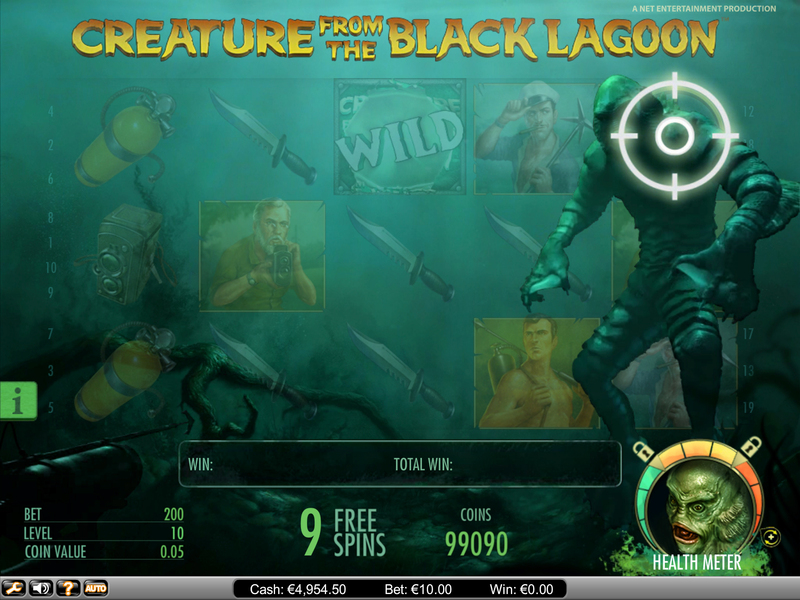 Creature from the Black Lagoon is a regular five reel, 20 payline slot. The game features two main play features, namely those involving the wilds and the scatters. The symbols seen on the reels are drawn portraits of the four main characters from the film, as well as a bowie knife, a camera, binoculars and an oxygen tank. The wilds appear frequently enough to keep you hooked, while achieving enough scatters to trigger the event is elusive enough to feel like a real feat once spun. The betting limits for this slot are 0.20 to 100, giving a wide enough range to accommodate many different kinds of players with varied budgets. Betting on the lower range will obviously take significantly more spins to get a decent payout, but the low volatility of this slot makes betting high worth it. While the symbols have a “hand drawn” art style, the game flashes that graphics budget once the animation for the scatter event is triggered. We’ll definitely be giving Creature from the Black Lagoon some serious style points. The more common feature of Creature from the Black Lagoon are the three tiers of wild symbols. Whenever one of them appears in either of your reels, they’ll stick in place while you receive a free spin. If those free spins grant you further wilds, they will also trigger free spins. The teal wilds are the sticky ones, while the green and red ones are expanding wilds, in different directions. However, spinning three or more scatter symbols will trigger the special event which is the real attraction in this slot. Depending on how many scatters you have, you’ll get 10, 15 or 20 free spins. Every now and then, the titular creature will appear when a target symbol is rolled in the fifth reel. 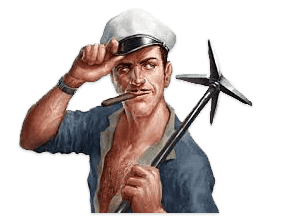 Players will have a chance to shoot the creature with a harpoon, decreasing its health bar. The lower the beast’s health, the greater your win multiplier becomes. The event is preceded by that elaborate animation we’ve been talking about before, but there is a skip option in case you’ve seen it multiple times. 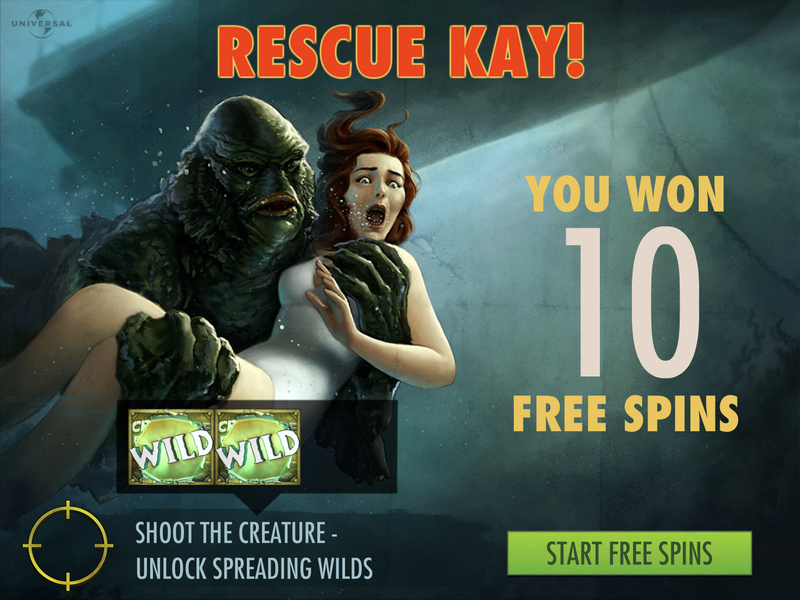 While Creature from the Black Lagoon packs some decent features, and triggering the special event will certainly increase your pulse, this isn’t exactly the slot that will keep you balancing precariously on the edge of your seat. 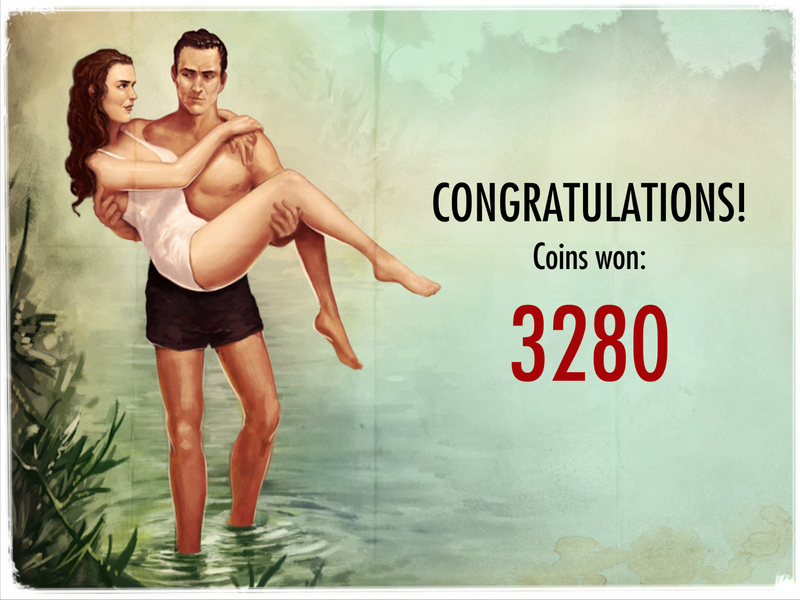 Sometimes you’ll hit big wins, and the multipliers during the special event could possibly leave you with a massive payout, but these occurrences are few and far between. 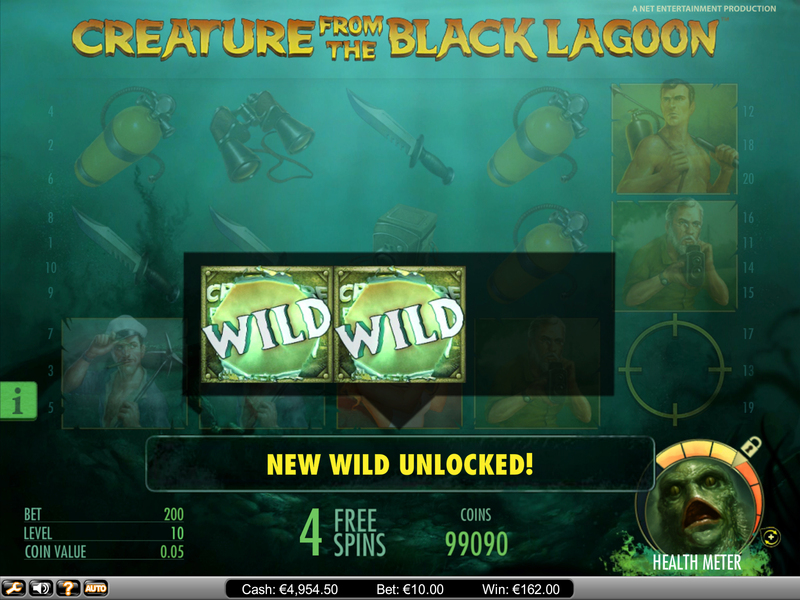 Creature of the Black Lagoon is a functional and entertaining slot accommodating a wide audience. 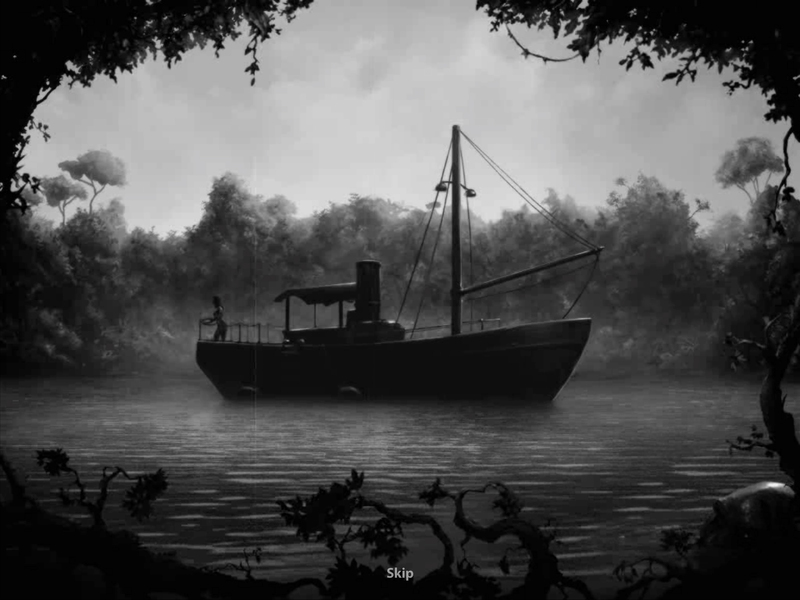 It has some impressive visuals, but even that animation loses its “wow” factor after a few times. Overall, this is a good slot, but nothing to write home about.